While reading the newspaper I came across a news about a Nigerian con-man posing as an agent “the Agricultural Attaché to the Malta Embassy in Nigeria” for the development of a phantomatic “world-class industrial fish township in Nigeria to be developed with Malta (my country). The whole project was a hoax by this con-man, presumably aiming at defrauding money from fellow Nigerians wanting to invest in such project. All this “case” seems to have amounted to nothing; but the beauty of living in a town-sized country is that any mention the country gets on any “international media outlet”, no matter how irrelevant it is, will get picked up by our own mainstream media. Notwithstanding that the projects mentioned by the con-man and the basic concepts behind them could actually be a good idea; it was an obvious hoax as he could never be an attaché to the Maltese Embassy in Nigeria for the very simple reason that Malta does not have an Embassy in Nigeria at all. “Malta has no embassy in Nigeria” – that should be the real news! Nigeria has the largest population (170m+) and gdp (1 trillion+ [in PPP] ) in the African Continent; making it the key player in that continent. The African population as a whole is expected to rise from the current 800m+ to 2.7 – 4 billion people by the end of the century. That would make it a bigger market than China and India combined! Also according to Charles Robertson’s forecast, which I personally consider to be on the optimistic but not unrealistic side, Africa’s economy will be bigger than that of the USA and (the current) E.U. combined by 2050 – that is only 36 years from now! Much of Malta’s economic future lies (or might lie) in being a bridge for trade and investment between Europe and Africa; which will, presumably, respectively be the third and second largest economic regions/blocs in the world. This will be more so in the light of a possibly more integrated Eurasian market which will make land trade routes much more viable for Euro-Asian trade; hence making sea lanes (and Sea Powers) relatively less important. China’s “new silk road”, Putin’s Eurasian customs’ union, and several agreements sought by several European countries with Asian countries (mainly china) are all pushing towards this scenario; a scenario envisaged by most of the Geo-political theory of the last hundred years. In this scenario the Mediterranean sea’s main value will lie in bridging Europe and Africa. “According to Citigroup, Nigeria will get the highest average GDP growth in the world between 2010–2050.” – Wikipedia. Nigeria has already managed to transition from being a “poor country”, which can’t even produce enough to meet its basic needs, to an (early stage) “middle-income economy” where after meeting their basic current needs they manage to put aside some of it to invest it in their future well being. This is the phase which growth economists would call the growth through capital accumulation phase. 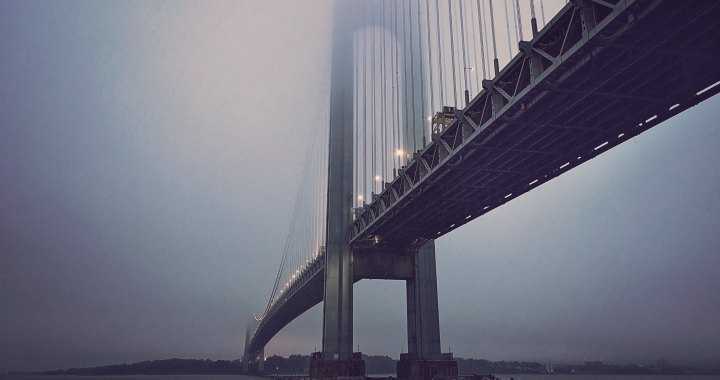 While hiccups along the road are to be expected, once this phase starts a country’s economy is destined to keep growing until it at least reaches the upper area of a middle-income economy. Whether it will be able to avoid the middle income trap and further transition to an advanced “rich” economy is another issue; one that will have to be evaluated in a decade or two. Unless Nigeria gets ravaged by an armed conflict or a series of apocalyptic natural disasters, its future is rosy and it will provide plenty of investment opportunities. The Maltese Prime minister, Joseph Muscat, has already acknowledged the potential of Africa going as far as saying “Africa is the future”; being the first relevant local person that I know of to do so. He also seems to realise the opportunities that presents to his (and my) country. Now it is time to start following those words with actions and opening an embassy in Nigeria could be a start, maybe once the Ebola crisis is over of course. He has already held a bilateral meeting with Nigeria’s president, Goodluck Jonathan, a few months ago. 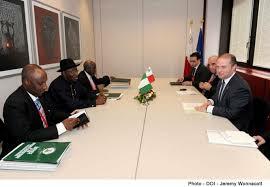 The photo above shows the Maltese delegation led by Prime minister Joseph Muscat meeting its Nigerian counter part led by (then) Nigeria’s President Goodluck Jonathan; courtesy of DOI. Unfortunately this was to discuss illegal immigration – an important current issue locally for sure – but it is time to start looking at the much broader picture and to look much further in the future. This article was originally posted on my other blog “Forbidden Economics” on 11th August 2014 but I am moving it here as I feel this is where it belongs.